For anyone who didn't know, we did a second run of the Black Cat Custom Tone Bender MKI Americano, which we offered exclusively to our email subscribers. 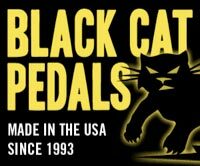 We built ten pedals, sold eight and have been sitting on the last two for a few weeks. But we've decided to stop being selfish and offer them up for sale. We changed the graphic slightly, but other than that these are exactly the same as the first batch. Here are some pictures of the MKI Americano v2. I won your MKI Americano on eBay in March and I just had to write to tell you that this is the best damn fuzz I have EVER PLAYED!!!!! This pedal is made so right you guys should be charging DAM prices for them. Never in my 17 years of playing and 4 years of buying VERY expensive boutique gear have I ever had so much joy playing music through a single device! It plays nice with all my guitars - 1998 Fender Strat Eric Clapton with Fralins, 1975 Stock Fender Telecaster, Gibson LP 1958 VOS, Jackson SL-3 etc. I think you guys get the idea. It loves my Mesa Stiletto 2x12 combo and my Marshall 1987x MKII. It works with everything I plug into it/it into. Great work! I have owned the ("insert name") here stuff, and I can honestly say this pedal is Number One. Could you please please please please please please please please I’M REALLY BEGGIN’ HERE GUYS!!!! Build me another one as a backup? DID I SAY PRETTY PLEASE!!!!??? The pedal does have that MKI killer sound, dynamics and overtones; the way the notes bloom out after that are hit and raise to the distortion level, I love it! Great build and solid pedal! Tom, I just got my MKI Americano and all I can say is WOW! It has far exceeded my expectations. This is probably the most difficult circuit (as I'm sure you guys know) to get right and you guys nailed it! 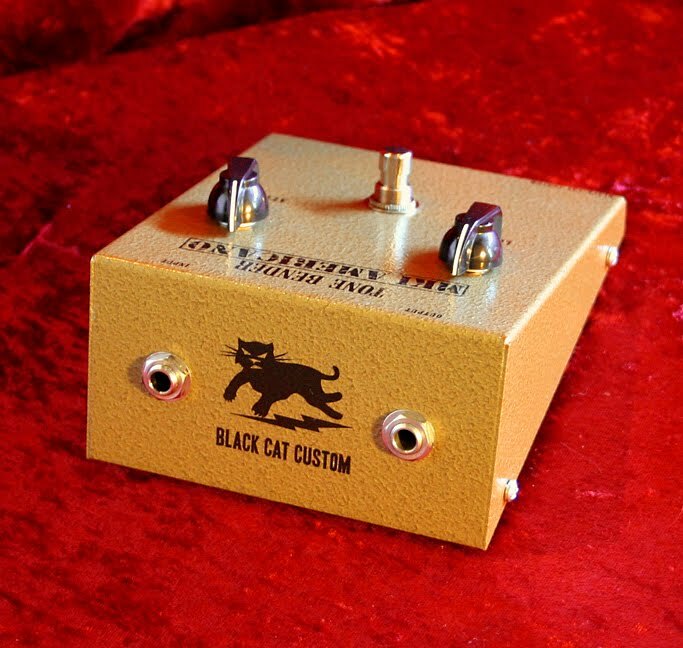 I have 4 other MKI builds, which are all great pedals, but yours is the most authentic sounding. I think a lot of builders try too hard to make this circuit sound pretty and IMO the primitive sound is what I love about it. I was really hoping this pedal would sound more Yardbirds era Beck, sizzle, spit and all, and I got exactly that. Excellent! I am really surprised you guys got so close using American components, but I guess they are not as important as the builder's skill and ears. 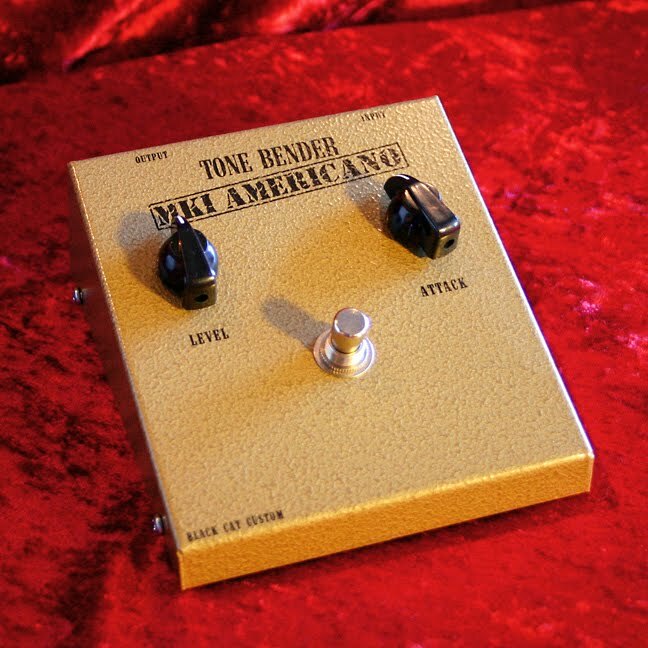 Anyway, Thank you for giving me the opportunity to get this incredible pedal, and I will definitely be doing business with you in the future as my finances permit. Thank you Tom and all at the shop for a really fantastic build, I will certainly enjoy it! My wife's gonna kill me if I get one and bring it home, so can I hide it at your place. By the way, do you do layaway? Nice testimonials! I can vouch - pedal is great.